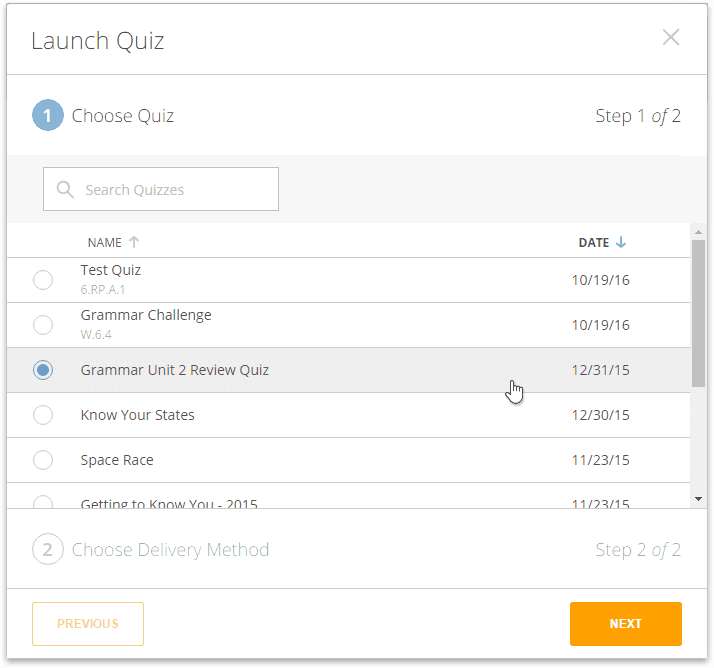 You may choose (optional) Additional Settings using the toggle switches. 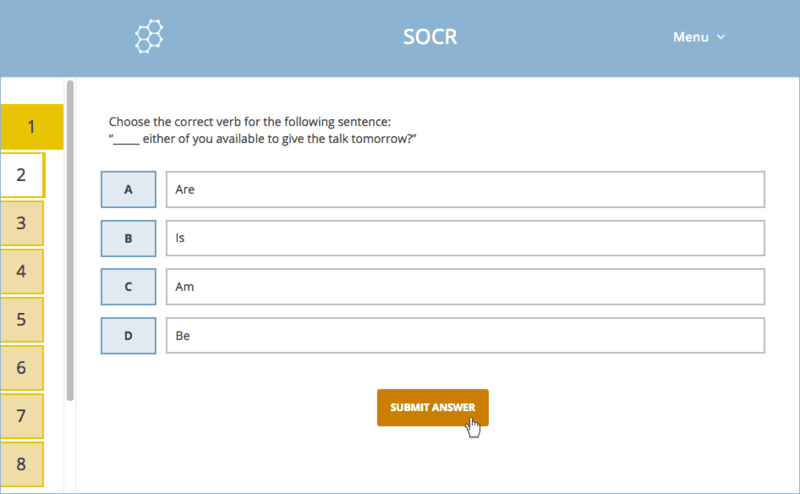 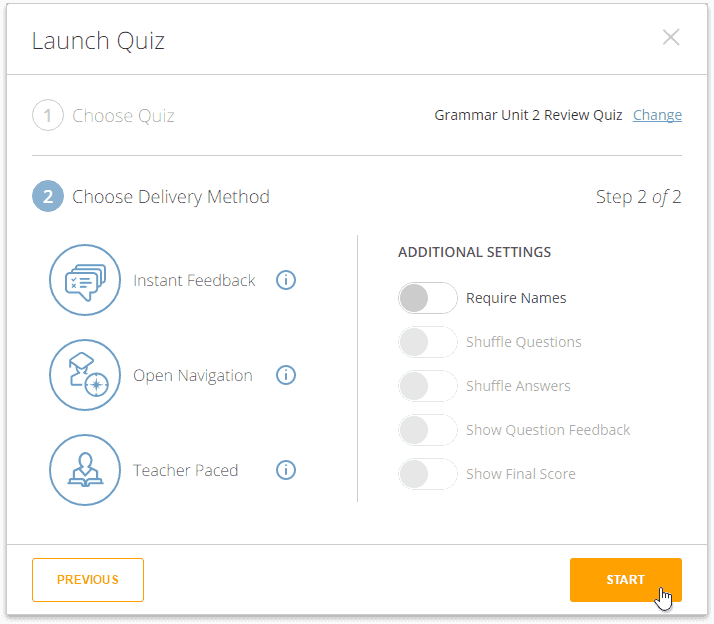 Click Start and your students will see the first question; you will see the Live Results screen. 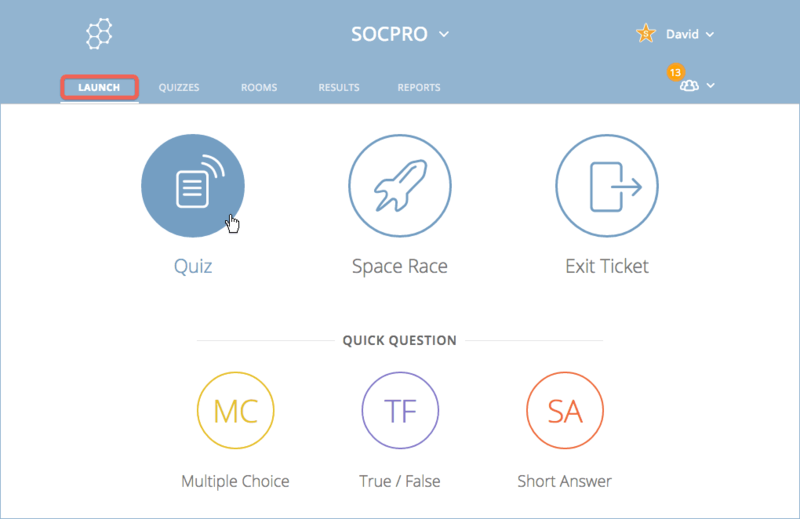 When you are done with the activity, click Finish; your students can then Log Out or await another question. 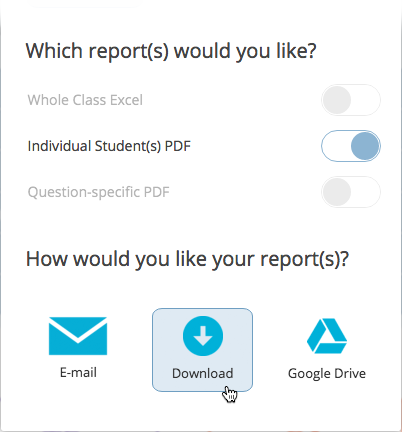 As you finish, you will be asked if you would like to Get Reports for the current activity, click View Chart to see student results in a Live Results format, or return To Launch. 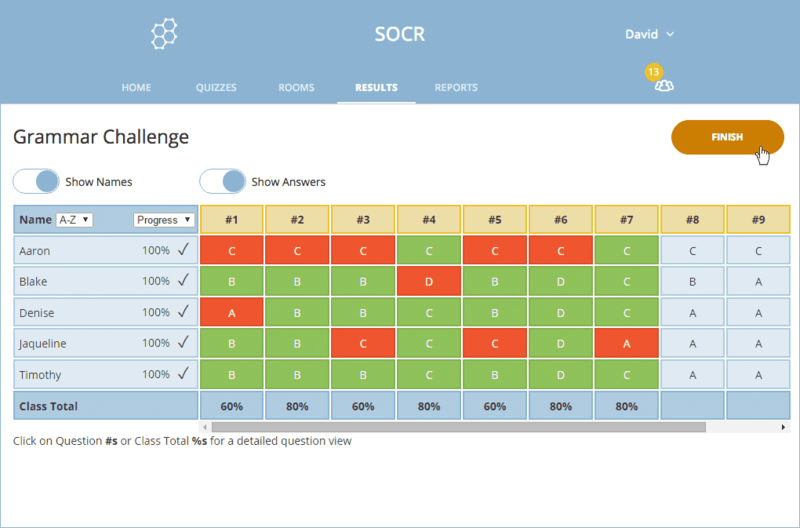 Note: Don't worry if you close this modal, your reports will still be available from Socrative's Reports section.